Today I am up with MORPHE MEGA MATTE LIPSTICKS swatches on Indian skin. Price:- $9 (approx. 900/- rupees from Instagram seller). The lipstick comes in a black square lipstick case. The cap of the lipstick is slanting. 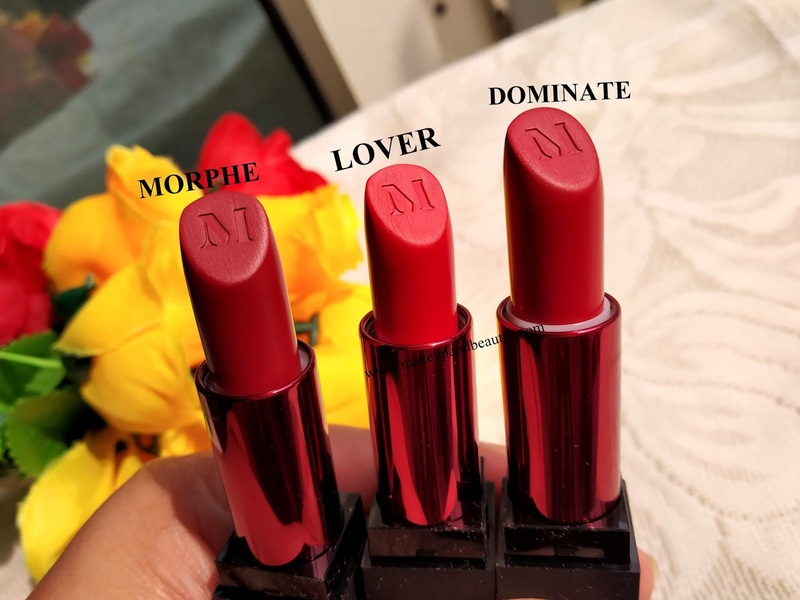 The name "MORPHE" emboss on lipstick case and the initials of Morphe "M'' emboss on top of the lipstick cap and on top of the lipstick bullet. The lipstick close with a click sound and so the lipsticks stays secure during traveling. These lipsticks have no fragrance. 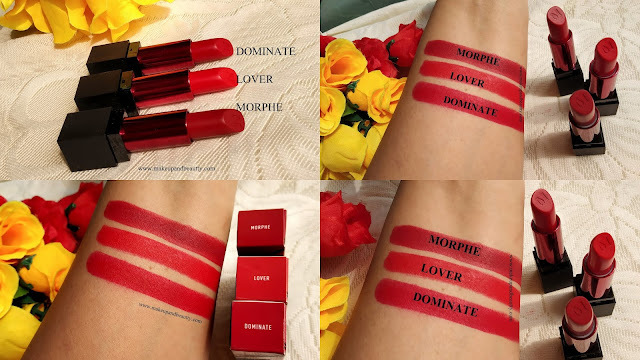 The lipsticks are different shades of red. 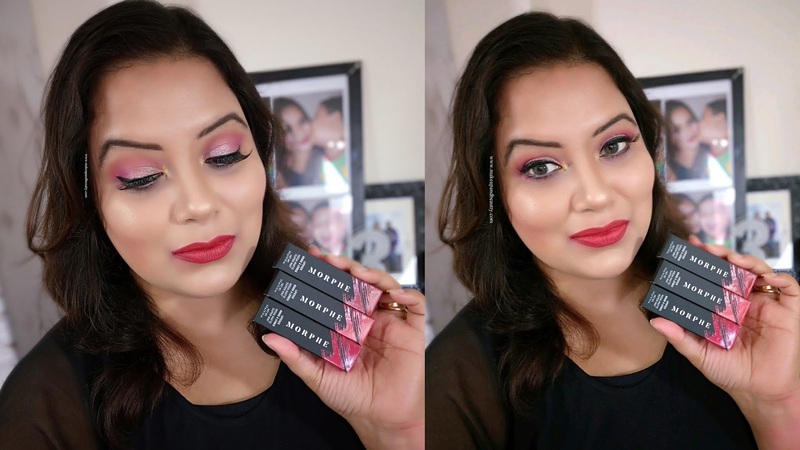 I love red lipsticks and so I picked best of 3 red lipsticks from this range out of 5. 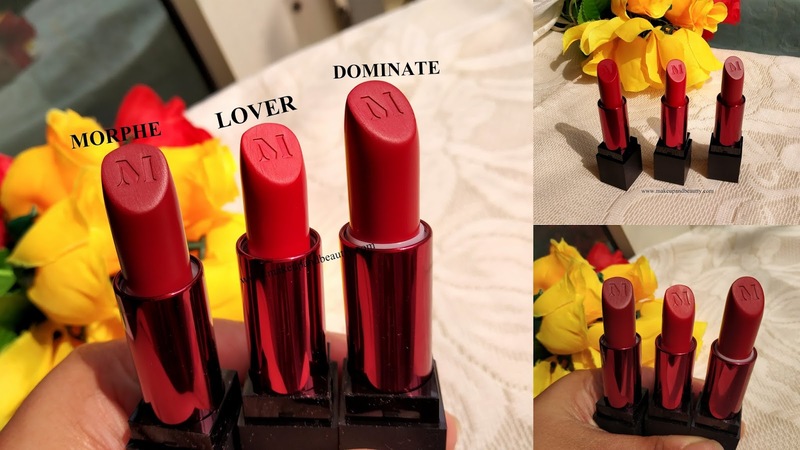 The lipsticks are matte in finish. They glide smoothly on the lips. 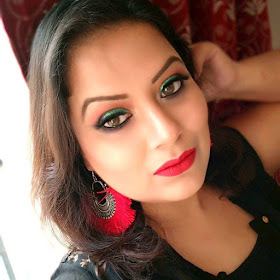 There is no tugging or pulling of lips while applying the lipsticks. 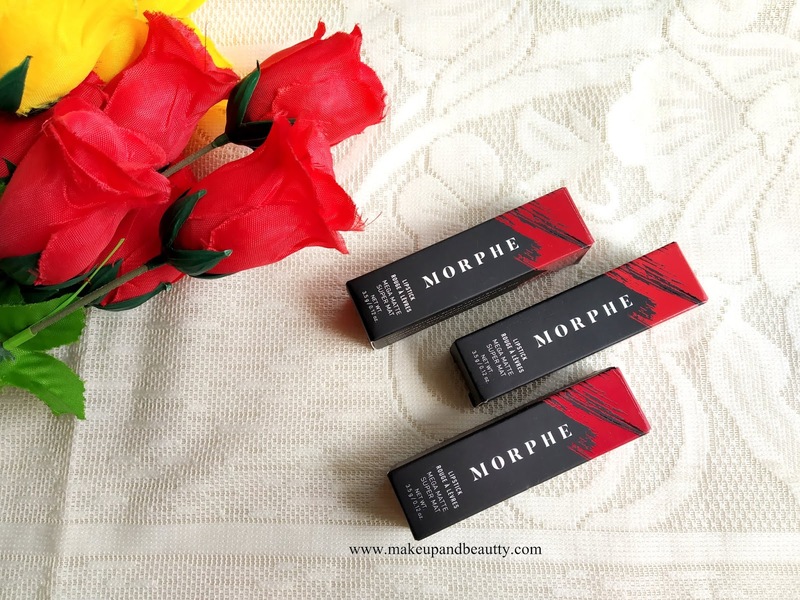 The lipsticks are super pigmented and stay pretty 7-8 hours on my lips. 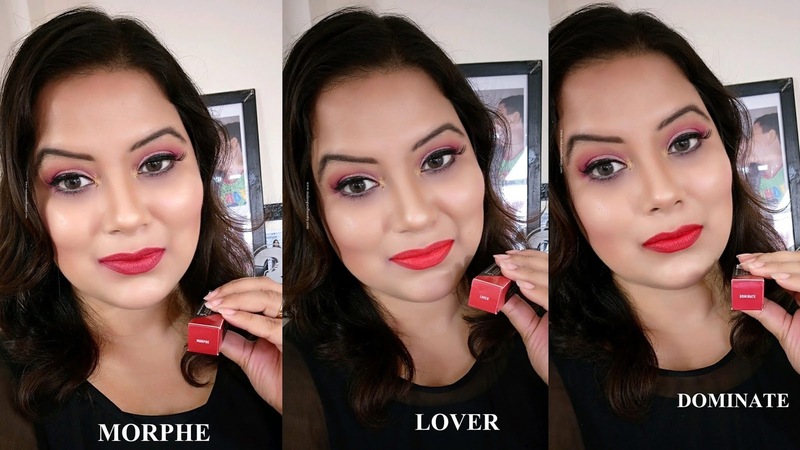 The lipstick fades lightly if you eat or drink something but as the lipstick stains the lips so they stay nicely as a stain on your lips even after fading. As these are matte lipsticks so people who have dry lips might feel these lipsticks little dry on their lips. So a proper exfoliation and moisturizing of lips is suggested before you apply these lipsticks. I really love these lipsticks. 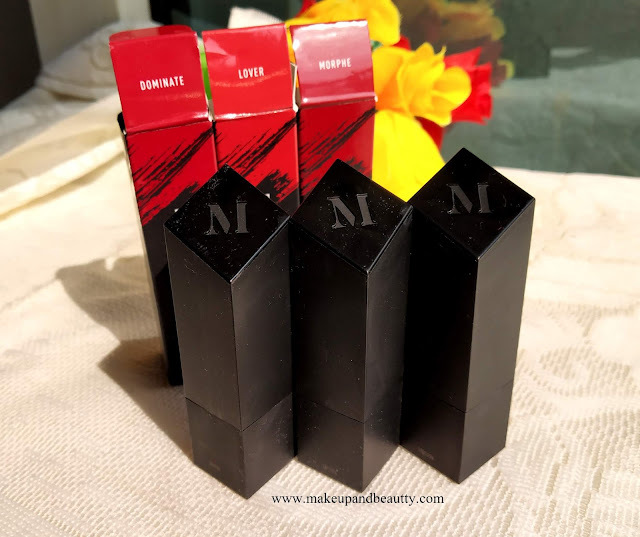 And definitely, I would love to recommend these lipsticks to all matte lovers.